This post was originally published April 27, 2016 and extensively updated December 18, 2017. What will happen when you retire from the business you own? That’s a question that many family business owners struggle with. They love the idea of keeping the business in the family – and that’s understandable. If the succession is handled properly, the business can become a family legacy, the foundation of your family’s wealth and well-being for generations to come. That said, the odds are stacked against family business owners. According to Forbes, only a third of family-owned business are passed from the first generation to the second generation – and only half of those are passed down an additional generation. In other words, only 15% of family businesses make it to the third generation. With odds like that, you might think that family business owners would make succession planning a priority. Yet research shows that 43% of family businesses don’t have a plan for succession – and it can mean the difference between family business survival and watching the business you created fail. Should You Pass Your Business to a Family Member? Many businesses owners struggle to decide what’s best for their business (and their retirement.) Should they sell the company or pass it down to family members? Over the last 25 years of working with many family business owners, I have come up with a list of questions to consider before making this life-changing decision. Is there anyone in my family qualified to take over the business? How will my key employees react to one of my heirs taking over the business? How can I keep them happy and motivated? Is there some reason that my business might falter if I hand the reins to someone without a history of working in the business? Is there more than one family member who may have an interest in the business? What training or education should I require of family members? Is there family harmony among family members who work in the business? Will I have enough money to retire if I pass the business down to my family? What can I do to ensure that all family members are treated equally if they don’t work in or own the business? If nobody in your family is qualified to take over your business, then you may need to consider selling. Alternatively, you could approach one or more family members and ask them if they have an interest in the business. If they do, explain what they’ll need to learn to be qualified to take it over when you step down. Succession planning is the process of preparing the next generation to assume responsibility for taking over the family business. Ideally, your succession plan should be a comprehensive roadmap of what will happen when you hand over the reins of your business to your successor. You’ll need to consider who will take over, when they’ll take over, and which responsibilities will accrue to each family member who will be involved in the day-to-day operations of the business. By far the biggest mistake you can make, if you want your family business to be passed down, is to put off making a succession plan. If you put off your planning, you run the risk of potential unforeseen circumstances leaving your business in chaos. The sooner your succession plan is in place, the greater the chance that you’ll have a successful transfer to your heir and that your business will survive the next generation and beyond. As the business owner and founder, you have a responsibility to ensure the stability and peaceful transfer of your business. If you intend to leave your business to a family member, here are some tips to help you. Start planning your business succession early. If you wait until you’re close to retirement, you run the risk of rushing things – and not giving your successors the time they need to prepare to take over. Setting up your plan at least five years ahead of retirement is a must, but ten years is even better. The more lead time you have, the easier it will be to work out any potential wrinkles and preserve your company for future generations. Be realistic (and honest) about potential successors. You might want to hand your business down to your son, but is he qualified to run it? It’s essential to be practical about your potential heirs’ capabilities and experience. Take a step back and make an in-depth evaluation of your family members. A careful analysis can help you choose the ideal successor(s) to shepherd your company into a new era. Involve your family members in the discussion about business succession. Business owners who leave their family out of succession planning can sometimes run into trouble as a result. For example, are you sure that the family member you have in mind wants the business? Is there a family member who might make things difficult if they’re not involved? Having an open dialogue about the plan can help you avoid these issues. Keep in mind that the best solution for your business may not be an equal division of the company’s assets and responsibilities. 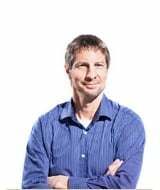 You might be tempted to split the company evenly among your children, but doing so can lead to difficulties if one of them is careless with money, antagonistic, or has no interest in the business. It may be that the person you appoint to run the business when you retire deserves a larger percentage of business ownership than someone who intends to be only a silent partner. Be prepared to train and work with your successor to ensure they’re ready to step into your shoes when you retire. If your successor is already working in the business, they will likely know many of the things they need to know. However, it’s still a good idea to work closely with them for a year or two before you retire. The more time they spend observing you as you interact with employees, vendors, and clients, the better prepared they’ll be to take over when the time comes. Work with a professional to make your family business succession plan. Even if you think you have covered every key aspect of your retirement, a professional can take a step back and look at the big picture in a way that you can’t. That outside perspective may mean the difference between a successful transition and an unsuccessful one. 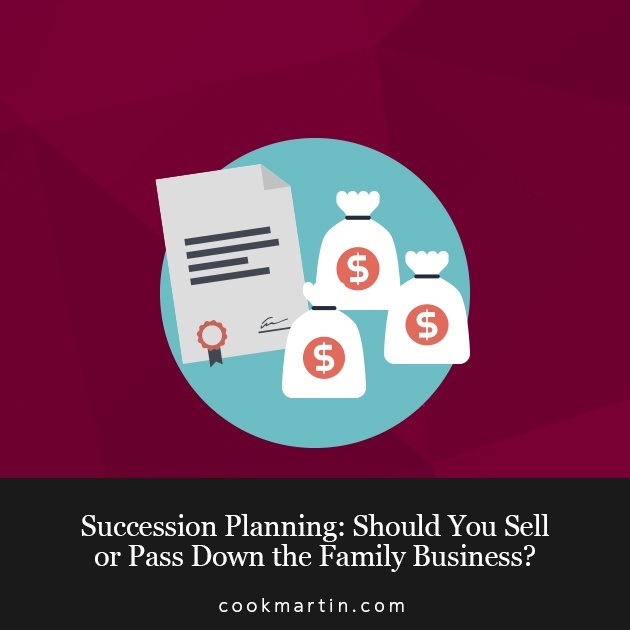 Cook Martin Poulson has developed several worksheets to help family business owners start the process of succession planning. The first is the Succession Score Card which will help business owners identify critical issues and start to develop a succession plan. The second is Questions Every Family Business Owner Should Answer and is useful to help family business owners address issues unique to family business operations. If you have a family business or you’re looking for assistance navigating a succession plan, please feel free to contact John Adams in our Salt Lake City office or Troy Martin in our Logan office to get the expert guidance you need to shepherd your business into the future. If you have a family business or looking for assistance navigating a succession plan please feel free to contact John Adams in our Salt Lake City office or Troy Martin in our Logan office.